Manufactured for reliable performance with optimal results. 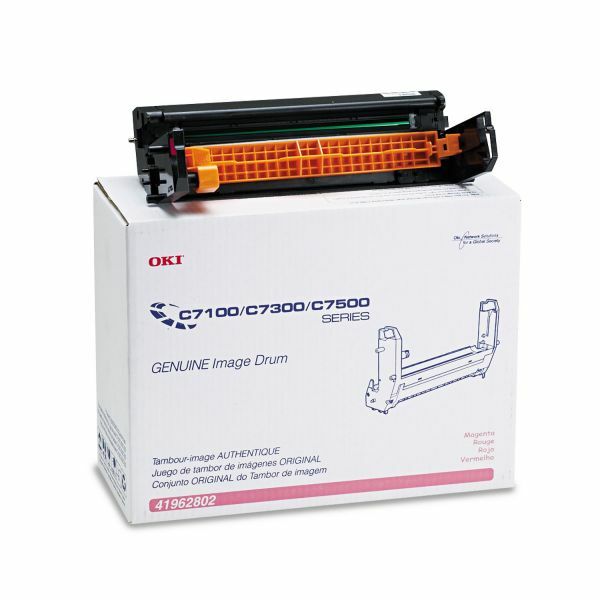 Oki 41962802 Drum, Type C4, Magenta - Type C4 Series drum is designed for use with Oki C7100, C7100n, C7300, C7300n, C7300dxn, C7350hdn, C7350n, C7500n, C7500dxn, C7500n, C7550hdn and C7550n. Drum lasts approximately 30,000 pages.